With this recolor you can choose the color of the inner part of the frame separately. In case you have AL installed, you can shift the mirror up and down. Thanks to aelflaed for the tutorial. Already placed mirrors you have to buy new for shifting. 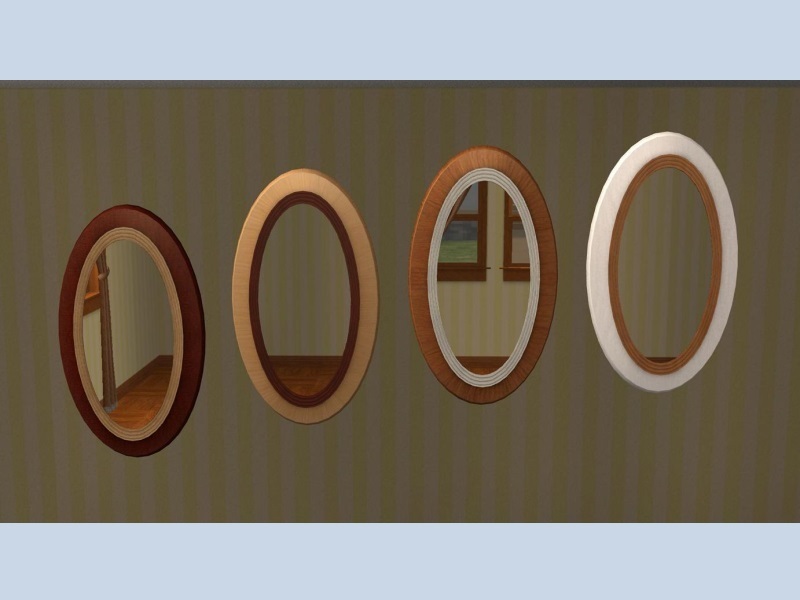 If you have already recolors of this mirror, these all will have the original gray inner part. For other colors of the inner oval you will need extra recolors. Four recolors of inner parts are included and some more come with the next upload. I hope somebody have use for this. GL_CEP_MirrorWallOval.package: put into \Documents\EA Games\The Sims 2\zCEP-EXTRA . GL_CEP_MirrorWallOval_ProgramFiles.package: put into C:\Program Files (x86)\EA GAMES\The Sims 2\TSData\Res\Catalog\zCEP-EXTRA. 53 people have said thanks to gabilei123 for this download.